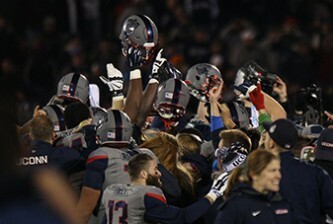 If the UConn Huskies women’s soccer team wants to advance to the quarterfinals of the 2015 NCAA Women’s Soccer Tournament, they are going to need a defensive effort like they got on Friday night vs the Notre Fighting Irish. 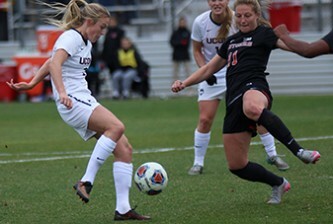 The UConn women’s soccer defense held strong all night and took advantage of their opportunities. Goalkeeper Emily Armstrong and the back four in front of her didn’t let anything past them. Standing in their way of a quarterfinal game is the Rutgers Scarlet Knights, who beat the Huskies 2-0 earlier in the season. 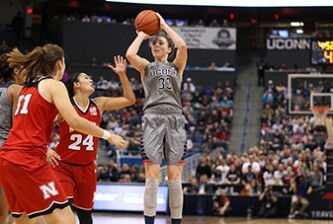 Watch and/or listen below as UConn head coach Len Tsantiris, Rachel Hill and Armstrong talk about what they need to do to beat the Scarlet Knights.